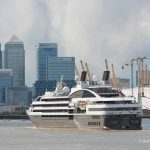 THE RIVER Thames was treated to a very rare spectacle yesterday afternoon when two Silverseas cruise ships passed each other near Greenwich. 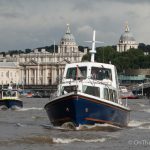 Silver Cloud was heading down the river after a two day visit to the Upper Pool when she was passed by her sister ship Silver Wind on her way up the river. 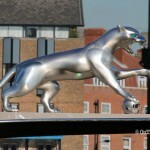 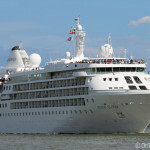 Silver Cloud paused in Blackwall Reach to allow Silver Wind to breeze past accompanied by the sound of tooting horns as they greeted each other. 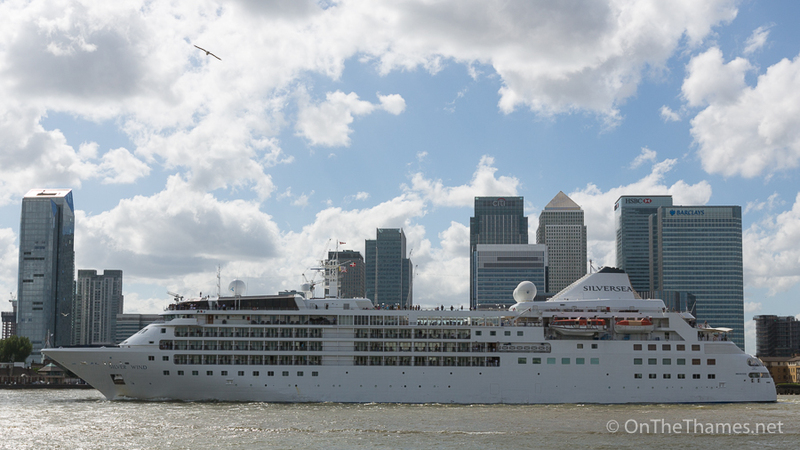 Silversea's launched Silver Cloud made her maiden voyage 1994 and Silver Wind, the second in the same class, entered service a year later. 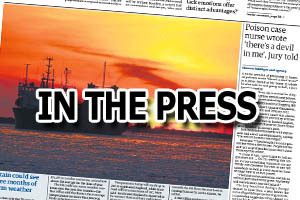 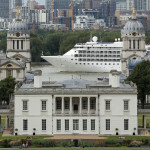 Both of the the ships have become regular visitors to the capital. 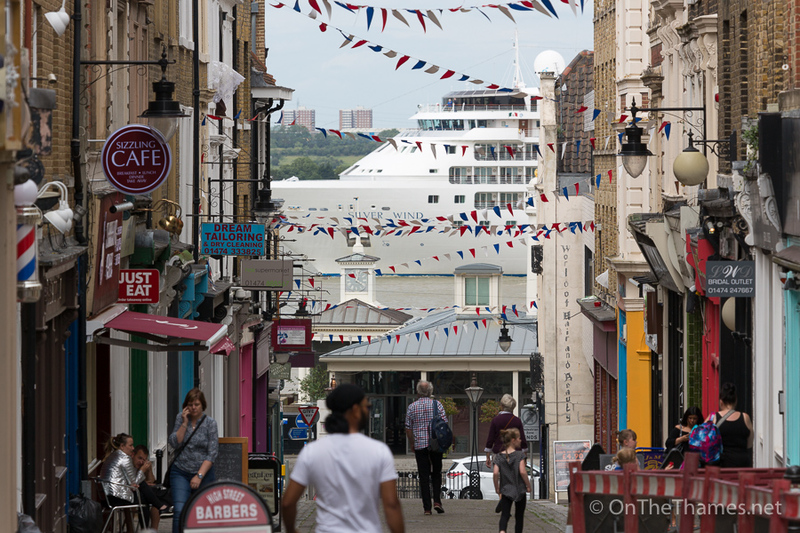 Silver Wind sails past Gravesend High Street and Town Pier. 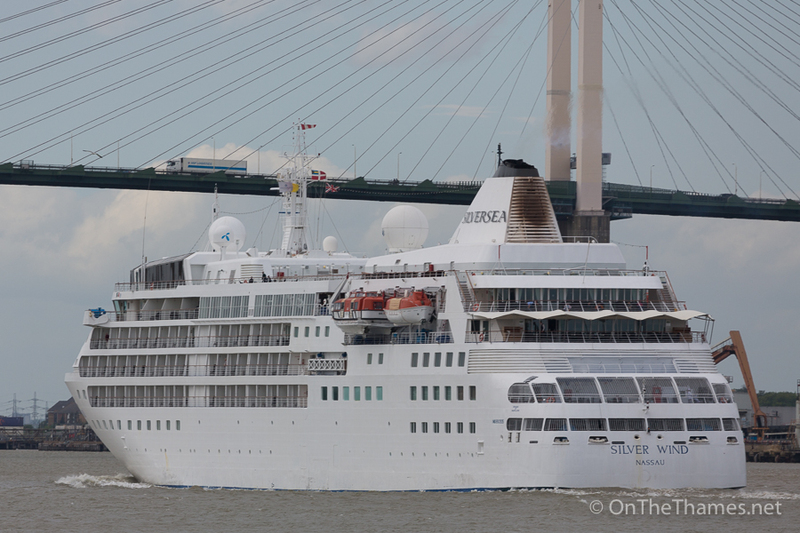 Silver Wind approaching the QEII Bridge at Dartford. 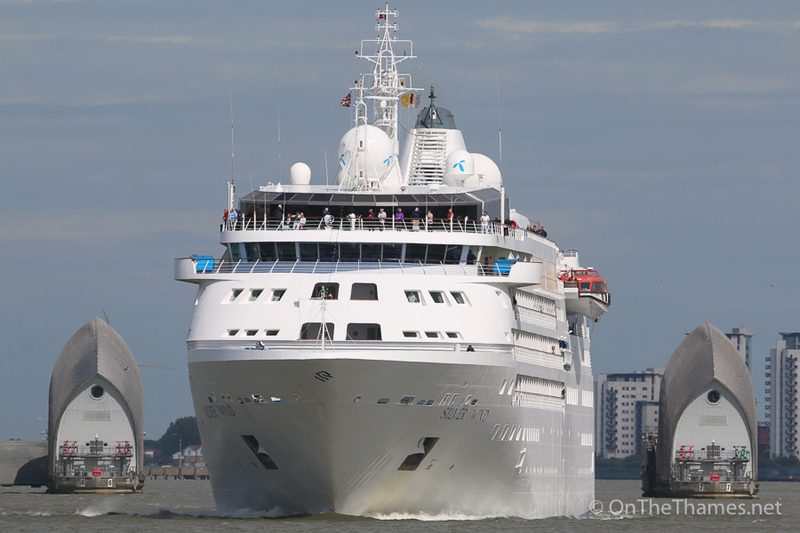 The 157 metre long cruise ship pictured at the Thames Barrier. 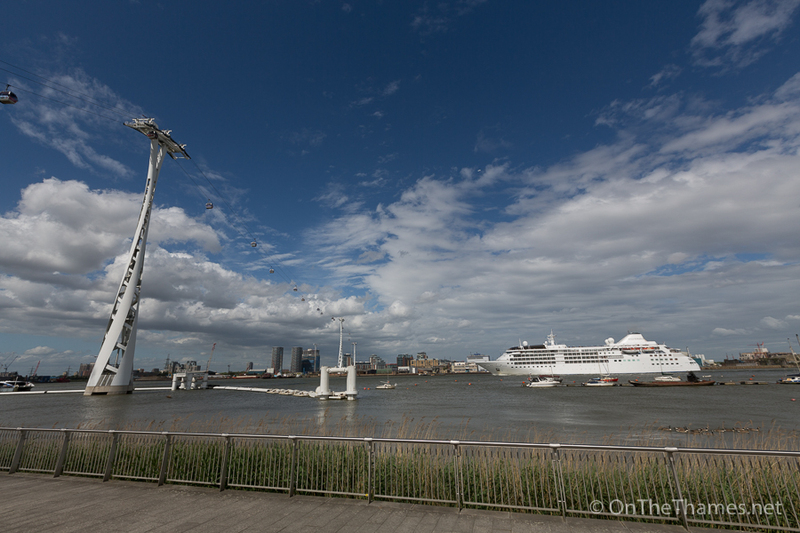 Silver Wind heads under the Thames cable car. 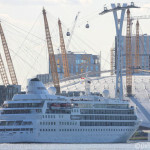 The cruise ship sails past the distinctive Canary Wharf skyline. 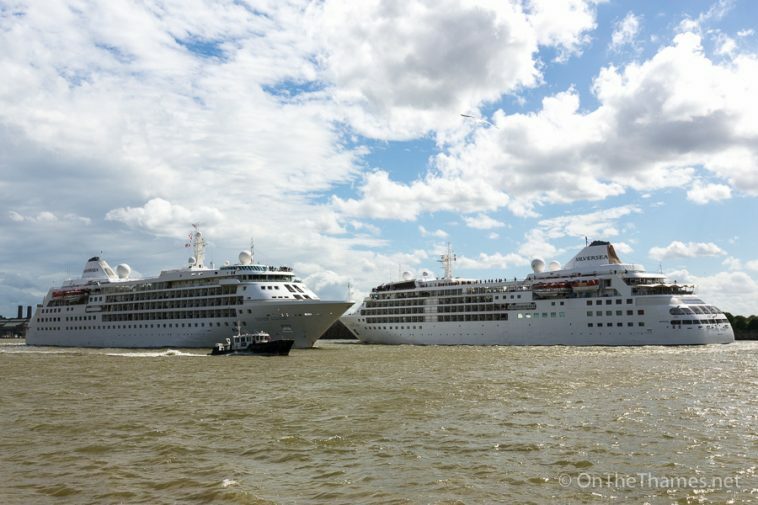 Reunited: sisters Silver Wind and Silver Cloud prepare to pass each other. 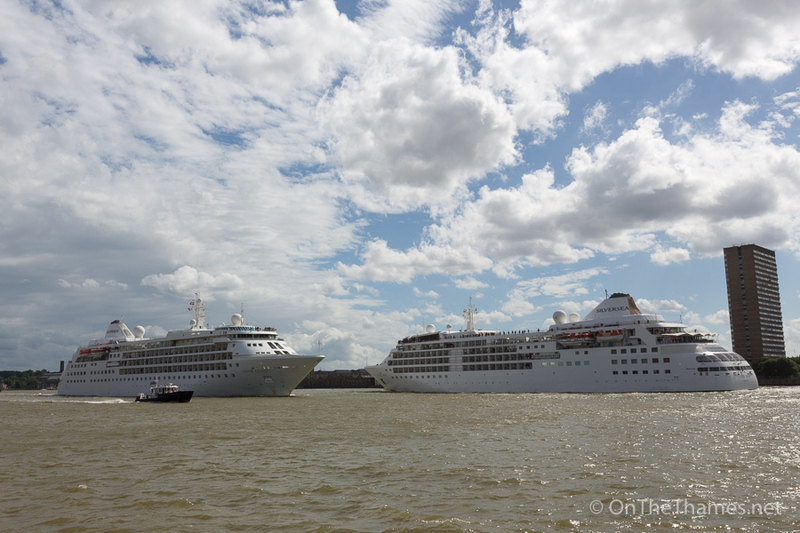 The sound of horns blasting filled the river as the two cruise ships met on the Thames. 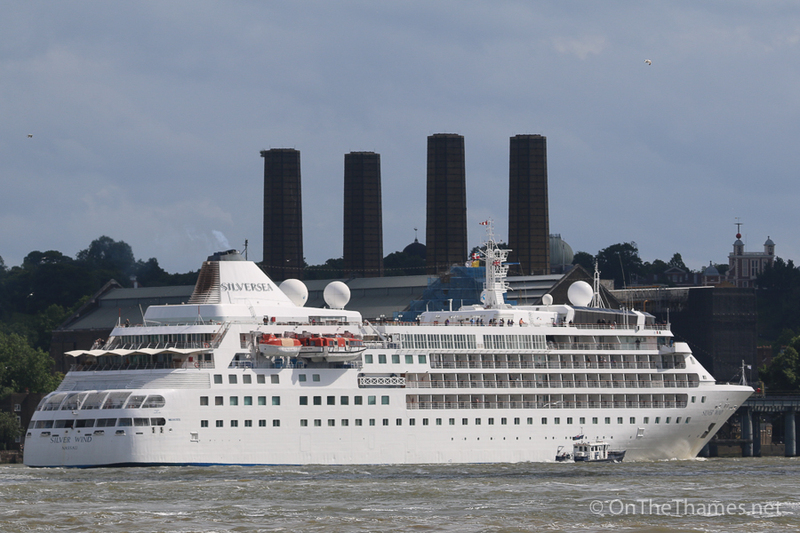 Silver Wind continues up river, seen here passing Greenwich Power Station and the old Royal Observatory.